Meet one of OLA’s 5,000 members. An interview with random OLA member #22: Adele Magowan. 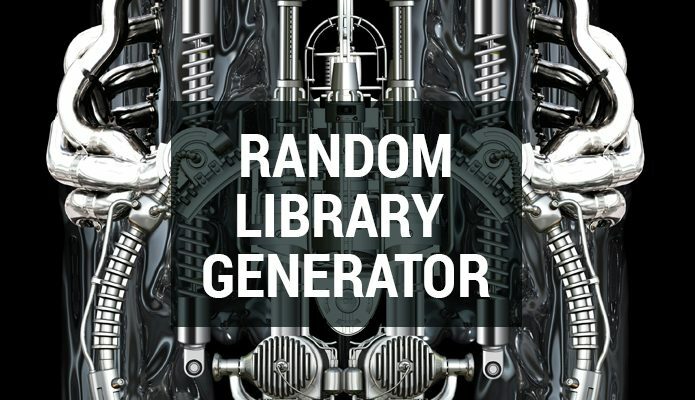 Five years ago the Random Library Generator column was born in the passenger seat of my friend Cynthia McKeich’s 1978 Chevy (actually, all I remember is that it was a beige car). In December 2014 I decided to get out of the random generation business and pass on the torch. I reached out to Cynthia to see if she might have a replacement in mind. She suggested Seneca librarian, Adele Magowan. Adele contacted me two minutes later and the rest is the future. 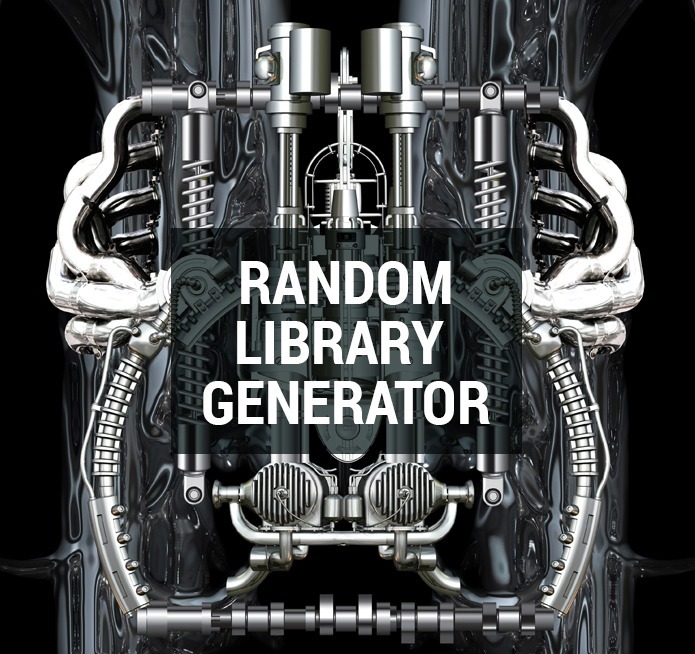 Adele is a new librarian, a new wife, a new homeowner, and now the new face of the Random Library Generator column. I spoke with Adele in late December. I can’t wait to see what she does with this column! 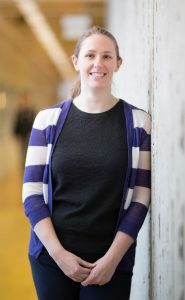 I’m a Teaching and Learning Technologies Librarian at Seneca College. I’m involved in a digital media lab or “makerspace” we call the Sandbox. I help students create videos and teach workshops on digital literacies. How do you know how to do all that stuff? I learn as I go, on the fly, and I learn a lot from my colleagues, Jennifer Peters and Ewan Gibson. What were you doing before this position? 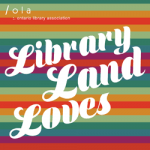 I was a library tech at a law library doing office administration (my current job is much more exciting) and then I was an information literacy technician at Seneca before I got my library degree. What’s your favourite place in your library? I would have to say the Sandbox. We have three separate rooms—two film studios with green screens and an editing space. I spent the semester running from space to space because we had 1,000 students involved in a video project. It was a whirlwind, I was exhausted, but when it was over I was so sad. I am learning so much about things I didn’t learn in library school. Where did you go to library school? I did my Masters online through San Jose State University while working as a library tech. What does it mean to you to be a librarian? What was it like doing the degree online? I really liked it. I like learning online and going at my own pace. I sort of wish they had made us go to California for some of it, though! I was going to go for my convocation but we had just bought a house, so I watched it on YouTube. It was weird seeing my name on YouTube. Were there other Canadians in the program? There was always at least one other Canadian in my courses and I found out that one of them lived near me in Mississauga and I thought, Oh my God, this stuff that lives in my computer is real! We met up for coffee. If you could travel in time to any library in the past or future, where would you go? So it was preordained that you would take this career path. Now let’s play Mad Libs. Give me a noun. How is the library like a picture frame? Well, it can contain anything anyone wants and we can change what’s in the picture according to need. Now give me an adjective. Tell me about a quirky place in your library. It’s not quirky, but different and cool, but I’ll say the Sandbox again. For example, I didn’t realize how many rappers we have on campus. They come in and use our studio to lay down some beats. They say they need a beat maker and I don’t know if that’s a person or a thing, but when I walk by the studio window, I see them rapping. That’s way too smart for me, Robin! I don’t know what it means either, but it’s something I recall from my undergrad days. What did you do your undergrad in? I skim-read my way through English at McMaster. Oh, I went to McMaster too! Were you very involved with student life? I wasn’t. People would knock on our door in residence and ask us to go out and my roommate and I would turn off the lights and lie on the floor like it was a bomb threat till they went away. Again, too smart for me. I think everyone else would think about travel, but I like staying at home in my new house. On my vacation I plan to go to the grocery store across the road every day and come back home and read. Just to out myself as totally unsophisticated, let me say that I’d be happy if I never travelled or left Canada. Is your new husband going to change that? He’s the only person I’ve ever met who feels the same way about travelling. I’m just learning to cook. Yesterday I made chicken fingers. I defrost a mean chicken finger. I wish I were someone who liked quinoa and knew how to use kale. Since I’m not much of a traveler, I have to say this makes me think of our library’s discovery layer, Summon. How do you find the discovery layer? It’s OK, except when I’m trying to find a book. This is a new-found passion of mine. I’ve done workshops on cognitive overload and what makes for a better presentation so your audience understands what you are teaching. I find myself running up and down the stairs at home doing the dishes and the laundry since getting my new house so I’d like my husband to help out more so I have more time. I’m a proud feminist, but when I think about asking him to take his dirty dishes to the sink, I feel like I’m stifling his creativity or something. Anyway, people tell me I’d better start asking him now, while it’s still early. I feel like I don’t have any uncertainty in my life right now. I just got married, bought a house, I’m in a job I like. Maybe I have a false sense of certainty, but that’s how I feel now. What can I say? That’s coming up for me a lot now. Whenever I go back to my parents’ house, as soon as I walk in the door and see them at the kitchen table I feel nostalgic. I just moved out of their house two weeks ago and they live five minutes away, so it’s very melodramatic of me, but it makes me feel very nostalgic to visit them. I always have 5 million things I want to change. I want to stop swearing so much. I want to learn how to cook quinoa and make salsa and hummus. My husband bought me a Vitamix blender so I want to start using it. Everything feels like a beginning. I just got married and moved into a new house. When I had my first interview at Seneca I didn’t know I’d be a librarian and still be at Seneca six years later. When I first started I felt like I should sit at the knee of people who had already been working for three years! I thought they had been working forever. My grandmother just moved into a retirement home and it’s beautiful. Whenever my husband and I visit her we say we can’t wait till we can retire and move in ourselves. I can listen to piano music and have a bus pick me up and take me to the grocery store. They even have pub night so I can still do the things I used to do. I’ll turn off the lights in my room and lie on the floor so I don’t have to go to the pub.